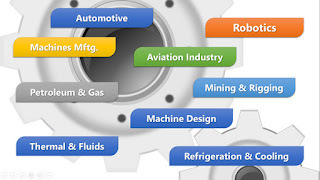 With advancement in technology and research, scope of mechanical engineering is increasing rapidly. This is an age of inter-disciplinary skills. Mechanical engineers have focused their research on nano-materials, composite materials, nano-technology, biomedical application and environmental conservation etc. There goes a famous saying about mechanical engineering that it is an evergreen field of engineering. There is no industry which can prosper without presence of mechanical engineers. Scope of mechanical engineering is unlimited. It is one of the oldest branch of engineering. I would explain above mentioned measures of scope in a bit detail. 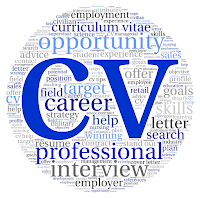 Likelihoods of getting a job soon after graduation: This does not only depend on a degree. It depends on your skills, extracurricular activities, institute where you are getting degree from, presentation and communication skills etc. A company is always looking for an engineer with dynamic personality, good communication and interpersonal skills, an engineer with ideas and innovation. Salary Offer: Now this is tricky and matters for those who know how to negotiate salary in interview. But I can bet that mechanical engineers get much better salary offers than other fields of study. Mechanical Engineers earn a median salary of $83,590 per year. Salaries typically start from $53,640 and go up to $128,430. (These figures have been quoted with respect to facts of United States). Entry-level mechanical engineers holding bachelor's degrees earned average annual starting salaries of $61,300, according to the National Association of Colleges and Employers' Spring 2012 Salary Survey. NACE reported that mechanical engineers with a master's degree started at an average of $75,700 - significantly more than the average starting salary of mechanical engineers with a bachelor's degree. No. of jobs for mechanical engineers in industry: Just forget about this. There are plenty of jobs for mechanical engineers. They are in high demand all over the world. There are only a few countries where mechanical industry has almost vanished or it didn’t prosper as much as it must have done. Once you have graduated with a degree in mechanical engineering, you have so many options and industries to work in. Ranging from manufacturing, power generation, construction, energy, transportation, automobile, beverages, pharmaceutical, agricultural, IT and other industries. Promotions and career growth in mechanical engineering: Career growth in mechanical engineering is faster compared to many other fields of study. There are not many graduates with mechanical engineering degree. This gives a boost to the scope of mechanical engineering. I don’t know any mechanical engineer with bad views of job prospects.